The Times of India Film Awards coverup continues. Remember the controversial April 6 Bollywood awards ceremony at B.C. Place Stadium that was invented by the BC Liberals in the run-up to the election? The same BC Liberals that concocted the Multicultural Outreach strategy to use government resources for party benefit? The same scandal that sparked an RCMP investigation and appointment of a special prosecutor? The event that failed to land a big bucks, mainstream sponsor in Canada. When it got an Indian title sponsor, it was an underwear company whose owner was suspected in the suspicious death of his son-in-law. Producers did say the event was successful. It would’ve been a shocking surprise if they said otherwise after they were enticed to Vancouver by the $9.5 million subsidy. Remember in July how the government claimed 6,000 people were employed as a result of the Bollywood awards program and India trade promotion that cost $11 million? Turns out that number was a rough estimate provided by the promoter. The government doesn’t want to show you how it really arrived at that number. It just needed a number to hold skeptics and the media at bay. A number to make it look like the investment of public funds at a time of rising debt was wise. While we’re at it, I have discovered that the government doesn’t want to show you who was hired and paid with your money. A list of suppliers and subcontractors was riddled with redactions, supposedly to protect privacy. I reported previously that Surrey Honda, Bryan Jessel BMW, Raymon’s Decor, BC Event Management, Score Marketing, Salmon’s Rentals/Apex Tents, Mod-u-loc, and Genesis Security worked on various aspects of the event. We don’t know how much they were paid. The FOI documents include a list of 45 suppliers and subcontractors. Of those, the only ones identified are: Pan Pacific Hotel, Laura Ballance Media Group, River Rock Casino Resort, B.C. Pavilion Corporation, Vancouver Convention Centre, City of Vancouver and Vancouver Police Department, Vancouver International Airport, Shiamak Davar School of Performing Arts, Legacy Limousines, TicketMaster, Ticket Leader, Surrey sari supplier Davi Bains-Gill, Sticks & Skins and Bachchan. Legacy wasn’t able to handle the contract with its existing fleet and needed an urgent 15 temporary licences, which the Passenger Transportation Board granted. Another 31 lines of sponsors were censored by the government. Alas, there is no list of who got paid what. I attended the event and, from my seat in the press box, spotted logos for several companies from Mumbai, India who did work on the event: WorkThatWorks Entertainment Design, Cineyug Group of Companies, Reliance Digital, St. Angelo’s Professional Education, Genesis Burson-Marsteller and 70 Event Media Group. So how many people really watched the event? “TOIFA re-runs continue to be broadcast throughout the global Indian diaspora. The Province has not been provided with final ratings for TOIFA. We are expecting a final list of air dates from the Times Group once all of the broadcasts have been completed,” said the tourism ministry statement. 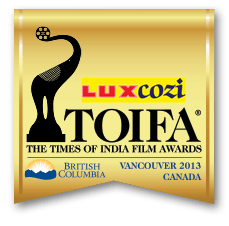 And what became of the TOIFA-connected, Bollywood feature film called “Kaneda” that was to be shot in B.C. by Amit Kapoor’s Cynozure Networkz and Abhay Deol’s IE Films? “We are informed by Times Group that this feature film is still in the planning stages with production expected to take place in B.C. sometime in 2014. In the future, please contact the Times Group for updated information as the Province is not directly involved in this project,” said the tourism ministry statement.